In a recent essay published in this periodical on 9th of February, 2017, Martand Jha addressed the role of nonviolence and Gandhian thought in Indian strategic thinking. Gandhi was part of a tradition that included such early practitioners of nonviolence as P.B. Shelley, Henry Thoreau, Walt Whitman, and the Quakers, and continued through the contemporary times with Vinoba Bhave, Martin Luther King, Nelson Mandela, Mother Theresa, Desmond Tutu, and others. For any strategy to be effective, it is essential that it be appropriately designed to be operative within the conditions in which it is to be deployed. In the present essay, I describe the prerequisite conditions that must prevail for nonviolent strategies to be effective in managing conflicts, drawing mainly from Gandhi’s writings. One may infer from Gandhi’s own writings that, while nonviolence offered a positive approach to bring about social change, there were effective ways to implement nonviolent strategies and there were ineffective ways as well. His reference to “flaw in the technique” suggests that the failing was rooted in the manner in which nonviolence was applied. Gandhi was suggesting that the principle of nonviolence was unquestionable, while its application was open to question. In fact, it is not easy to draw a clear demarcation between the theory and practice of nonviolence. By implication, would one be right to infer that in certain situations, violent strategies would be indispensable? Would violence, too, not be a viable alternative in some circumstances? Gandhi himself cited instances when violence might be justified. For instance, if the choice was between violence and cowardice, violence was preferred. The deployment of a nonviolent strategy is, therefore, in itself, not a matter of operationalizing a moral philosophy. Karl Potter suggests that the conditions under which nonviolence can operate are precisely the crux of the theory of nonviolence. If we consider nonviolence as a strategy, rather than a philosophy, it becomes easy to understand that the strategy would operate more efficiently under certain conditions than when they are absence. The purpose of this essay is to introduce the reader to those conditions. It is possible to discern many of the prerequisite conditions required for efficient application of nonviolent strategies from Gandhi’s own writings, cited below. He also identified conditions that render nonviolent strategies impractical or ineffective. Karl Potter has divided these conditions into three major categories. In Potter’s own words, “First, there are conditions in the environment, types of external circumstances, which render nonviolent techniques inadvisable or unworkable or unlikely to succeed. Secondly, here are conditions in the agents who propose to adopt nonviolent procedures which will preclude their success or which will even make it impossible to designate their behavior as nonviolent. Third, there are conditions in the method of the agents which will defeat the purpose of nonviolence or which will make the term nonviolence inapplicable.”  These prerequisites have been further elaborated by Dhir. We shall now discuss these environmental conditions, the conditions that must be present in the agent implementing the strategy, and the conditions that must be met by the adopted methods or techniques of nonviolence. There are various environmental conditions, identified by Gandhi, that render nonviolence impossible by their presence. According to Gandhi, “If the type of change that is contemplated is believed by the agent to be one which leads to a state less beneficial than the present one, the methods used to bring about this change can hardly be described as nonviolent.” For example, noncompliance with a law that is deemed to be just would not be a nonviolent action. Nonviolent strategies should seek an outcome or a state of being that offers better justice, or, in face of injustice, seeks to at least maintain the erstwhile level of justice. Yet another environmental condition demanded by Gandhi, to recognize a strategy as nonviolent, is that it be deployed in addressing a “true and substantial issue.” In absence of such an issue, nonviolence was ineffective. However, what constitutes a “true and substantial issue”? This remains unclear. Would a great amount of good or harm expected by the parties involved make the issue “true” or “substantial”? Would the intensity of commitment or emotion associated with the desired outcome make it “true and substantial”? These questions remain unanswered in Gandhi’s writings. The second set of conditions that compromises the effectiveness of nonviolent strategies pertain to the characteristics of the agent deploying the strategies. Cowardice is perhaps the most basic of these conditions. According to Gandhi, cowardice is entirely inconsistent with the idea of practicing nonviolence. Interestingly, Gandhi referred to gradations of nonviolence, rated by the moral fibre of the agents. He differentiated between the nonviolence of the coward, of the brave, and of the weak. Gandhi wrote, “I do believe that, where there is only a choice between cowardice and violence, I would advise violence … But I believe that non-violence is infinitely superior to violence, forgiveness is more manly than punishment … But abstinence is forgiveness only when there is power to punish; it is meaningless when it pretends to proceed from a helpless creature. A mouse hardly forgives a cat when it allows itself to be torn to pieces by her ….”  Nevertheless, Potter has described Gandhi’s definition of “nonviolence of the coward” as flawed, a misnomer. Potter argues that nonviolence of the coward is a concept that is null and void; it cannot exist. As stated by Dhir, “…Gandhi viewed indignities visited upon an agent by another party as constituting violence. He also clearly indicates that nonviolent response is appropriate and desirable. 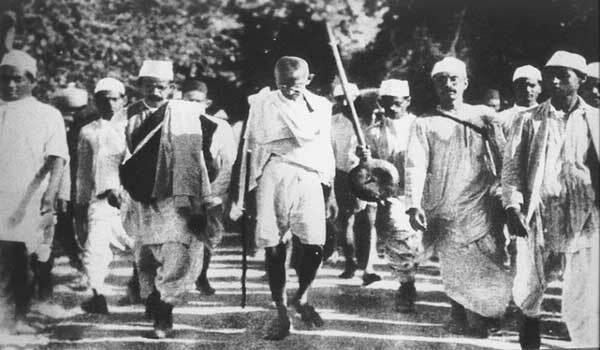 Passivity cannot be termed as a nonviolent response unless it is based on the principle of self-respect by those assaulted.”  In Gandhi’s thinking, only if one’s self-respect dictated that ignoring such indignities was the most appropriate retaliation, would inaction be an exercise of nonviolence. This requires a degree of maturity, patience, and honesty on the part of the nonviolent strategist. Yet another essential condition for the success of nonviolent strategy is that the person or people against whom the nonviolent resistance is practiced must demonstrate the capacity of the intellect to recognize the motives of the nonviolent actor. What are the motives of the nonviolent strategy? Why does the agent choose to be nonviolent? Gandhi writes, “Non-violent resistance only follows some real disinterested service, some heart-expression of love. For instance, I would have no status to resist a savage offering animal sacrifice until he could recognize in me his friend through some loving act of mine or other means.”  By implication, greater is the intellectual capacity of the opponent, greater will be the strength and effectiveness of the nonviolent approach. Nonviolence is not the same as lack of violence. Gandhi recognized violence as a relative concept, but did not define it as a complete concept. Many of the conditions required by Gandhi for nonviolent action assume that one can distinguish between violence and nonviolence. This distinction and the ability to discern the difference are all the more crucial because violence and nonviolence are not opposites. He accepted that what is violent for one agent or situation may not be so for another; what was violent may not be so now, and so on. Gandhi discussed violence as an attitude. In this sense, Gandhi’s absolutist condemnation of war could be considered out of character with the overall structure of his thought. Or perhaps, nonviolence remained for him an evolving concept! Perhaps, is it appropriate not to seek theoretical completeness in Gandhi’s writings. Martand Jha. “Non-violence and Gandhian Throught in Indian Strategic Thinking.” Indian Defence Review, 9th February, 2017. http://www.indiandefencereview.com/author/martandjha/, Seen on February 10th, 2017. Mohandas K. Gandhi. Harijan, November 11, 1947. Krishna S. Dhir. “Stakeholder Activism through Nonviolence.” Corporate Communications, An International Journal, 12 (1), 2007, 75-93. Mohandas K. Gandhi. Non-Violence in Peace and War. Ahmedabad, India, Navajivan Publishing House, 1949. Mohandas K. Gandhi. Young India, November 4, 1926, 385. Also see, S.C. Gangal. The Gandhian Way to World Peace. Bombay, India, Vica and Cox, 1960, 75.